The Town of Beaumont is in South-central Alberta. Its’ proximity to the City of Edmonton, combined with its’ small town charm have led to a significant increase in population in recent years, making it one of the fastest growing communities in Canada. 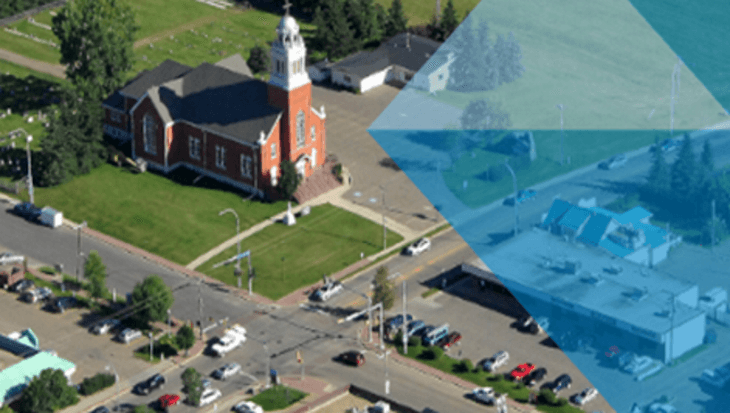 As one of the fastest growing communities in Canada, the Town of Beaumont needed a method of budgeting that would provide accuracy in budget preparation and tracking, and would transfer ownership back to the Departments. The Town determined that Questica Budget was the right solution to meet their requirements. The Town’s fiscal year runs from January to December. Their existing budget preparation process and the tools used, left them open to many challenges and issues along the way. The strategic plan was prepared and delivered to council, and fees and charges were updated to get an idea of what the revenue would be. The finance department than began the process of setting up the budget data in Excel spreadsheets for each sub-department or cost center. Some departments requested previous years’ numbers carried forward, which required additional manual work from Finance. The use of Excel led to the potential for human error, including incorrectly entered data and links being missed or not updated. Department managers worked to create their budgets in their Excel spreadsheets and then submitted them to Finance. The compilation of the budgets was a strain on the resources of the finance team and took their focus away from other aspects of their job. The result was a series of large binders housing the consolidated budget. The amount of paper required to prepare this initial budget, as well as to document any change requests was tremendous, and left them vulnerable to version tracking issues. A Budget Workshop and an Open House were held to review budgets and make any recommendations for change. A good deal of time was spent going back and forth between Finance and department managers to adjust figures as requested by the budget committee. When a change was made without involving department managers they often weren’t aware of it. The approved budget was then stored on a shared drive, which led to potential issues concerning unauthorized access and changes to the data. One of the largest challenges lay in the salaries budgeting. With no available tool to manage the calculations for full- and part-time equivalents (FTEs/PTEs) and casual workers, they were done manually based on an equation provided by Finance. Often these calculations didn’t balance, so Finance had to take back the management of this portion of the budget. It was critical that the new solution could manage the complexities of accurately tracking and accounting for the dollars involved in salaries and associated costs. Finance was heavily relied on to provide budget data during budget preparation and throughout the year. This took them away from a critical aspect of their job—analysis and budget strategy. The Town had a very specific set of priorities in their strategic plan and being able to focus on aligning with these priorities is a critical role for Finance. In their second budget cycle with Questica Budget, the Town is seeing improvements to their budget preparations. Questica Budget stores all budget data in a centralized database and enables managers to take back several key aspects of their budgets. They are now able to initiate their budgets, including rolling forward the previous’ years’ numbers to work on. At any time throughout the approval process managers can be aware of what is happening with their budgets. Managers can also track their budgets in real-time throughout the year, and make the necessary change requests to keep on track. Historical data is accessible through Questica Budget opening up the chain of knowledge to future participants. Questica Budget has replaced the old method of storing budget data on a shared drive for any/all to access and change at will. Questica Budget’s web-based application is accessible to users from any computer with internet access. However, only those granted access at each specific level can view and edit budgets. As budgets move up the chain of command during budget review and approval, they are locked down so users external to that stage can see their budget, can understand where it is in the process, but cannot edit it. Questica Budget can handle all calculations including benefits and labor costs. Complex union and salary contracts are achievable and numerous scenarios can be run during negotiations to understand the impact of any decision made. Forecasting allows department managers to see how their salary decisions will play out in future years and against their strategic goals. When staffing changes take place whether it be an increase or decrease of staffing, or the reallocation of a resource, Questica Budget enables department managers to update the budget accordingly. In addition, employees can now be allocated to multiple costing centers. With Questica Budget managers have a much more accurate understanding of the most expensive part of their budgets — their people. Questica Budget eliminates the need for the binders full of Excel spreadsheets through budget preparation. The history of a budget is now stored in the system including changes requests and associated documentation, maintaining the valuable link of information, but eliminating the heavy paper trail. Prior to Questica Budget participants couldn’t be sure that all Excel links were up-to-date. With Questica Budget the data is stored in a database, ensuring that any change will also be updated in linked/associated fields. Everyone looking at the budget at any given time is seeing the same numbers. Integrating with the financial system provides a budget that is current. Finance and department managers have access to the same source of real-time budget numbers, so there can be no misunderstanding about what has been budgeted for. Thanks to more efficient budgeting, Beaumont is brilliant.